I love the collaborative relationship between Hebru Brantley and the city of Chicago. With the ever-growing fame he’s achieved nationwide, he stays in Chicago, supporting and growing the local art scene, and the city has reciprocated, supporting his public sculptures and solo exhibits. Brantley has gotten a lot of recognition (rightfully so) in Chicago, but his talent has also been celebrated on a national scale – I first heard about him as his visibility soared after Jay-Z bought a painting. I started to see his work around the city, on the walls and in magazines. I saw him as a spotlight artist at the Scope art fair during last year’s Art Basel Miami Beach. I continued to learn more about him by seeing his relationship with the Chicago hip hop community documented on Fake Shore Drive. And now, you can check out his work in a solo exhibit at the Chicago Cultural Center. During a day of downtown Chicago fun, Frances and I stopped by to see the exhibit on one of its first days. It was awesome to see a packed room, filled with excited art fans and even younger children. Brantley’s flyboys and girl were in full effect, and I loved the various mediums used throughout – from a literal parade float, to canvas, to wood, to city warning signs. 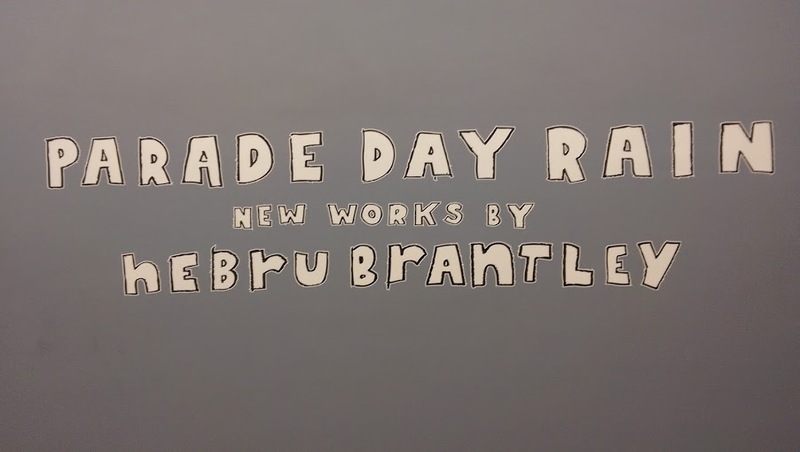 You can visit Brantley’s exhibit at the Chicago Cultural Center for free now through September 23, 2014. Get a sneak peek of the exhibit on the City of Chicago’s website here. In the meantime, be on the lookout for his work throughout the city. I recently saw his well-known mural in Wicker Park, and a newer piece in Lincoln Square. Next on my list – his colorful army of flyboys and girls installed near the Field Museum along the lakefront.